A Federal Judge has told the Environmental Protection Agency to get moving on coal ash regulation. In 2010 the EPA proposed first-ever federal regulation on coal ash but hasn't done much since, leaving the law in limbo. On Tuesday Judge Reggie Walton issued a memorandum, giving the Agency 60 days to review its proposed rules, the court document shows. The memorandum comes in response to a lawsuit brought against the EPA by environmental groups in 2012 – Walton ruled in against the EPA last month. The groups argued that the EPA had failed to revise regulation in a timely manner. When the EPA published its proposed rules in 2010 it offered two options, comments on which it has been reviewing since. The Agency asked for six more months to review, but the judge said two should suffice. 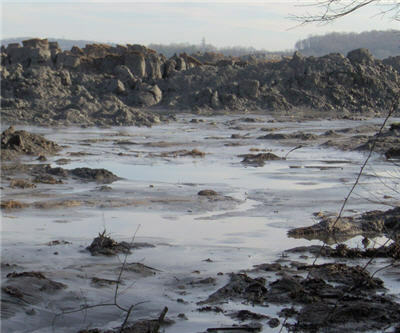 Coal ash, waste generated by coal and other fossil fuel combustion, has come under fire since a Tennessee Valley Authority steam power plant ruptured in 2008, sending coal combustion waste onto more than 300 acres of land.